For any garden of any size, landscaping and turfing can be transformational. 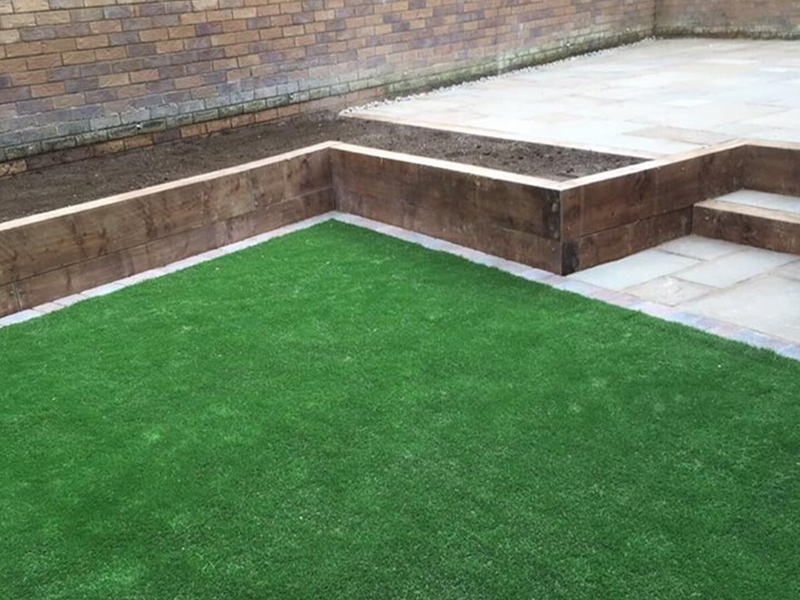 From a dull and disused space to something fantastically functional and aesthetically pleasing, you can rely on the team of professional landscapers at Birch Landscapes to transform your domestic or commercial outdoor space. To learn more about how we can carry out your landscaping or turfing project, why not get in touch with the team today? Is there anything better than a lush green lawn? We think it’s difficult to beat. 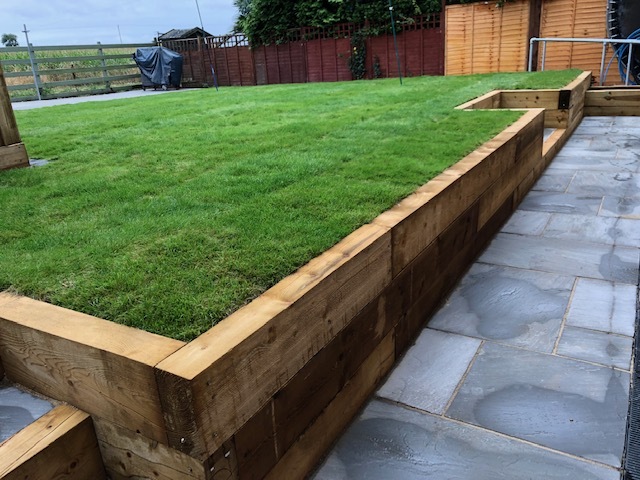 You can be sure that in putting your trust in our Milton Keynes landscaping and turfing services, we will deliver only the best quality turf, plants, soil and additional materials. 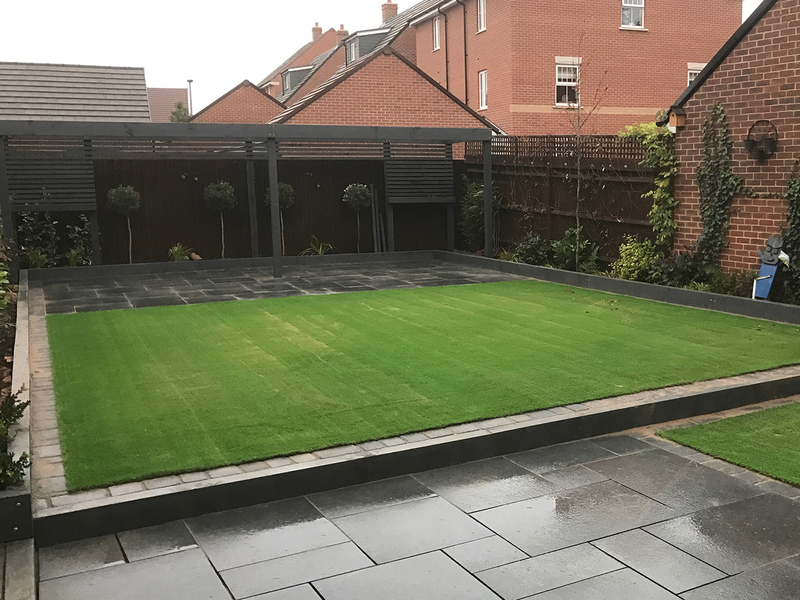 We can say that confidently since Birch Landscapes has acquired its expertise over a great many years dedicated to long–lasting turfing and landscaping and have a wealth of happy customers as a result. 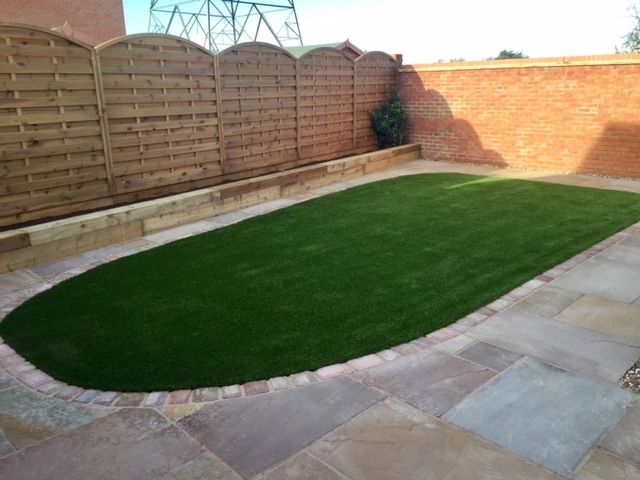 We are also delighted to be able to supply a fantastic artificial grass service. Artificial grass can be a great solution for many people who don’t have the time to take care of their lawn. It is also great for parents and pet owners who want to keep their little ones clean and safe from potentially harmful fertilisers and pesticides! 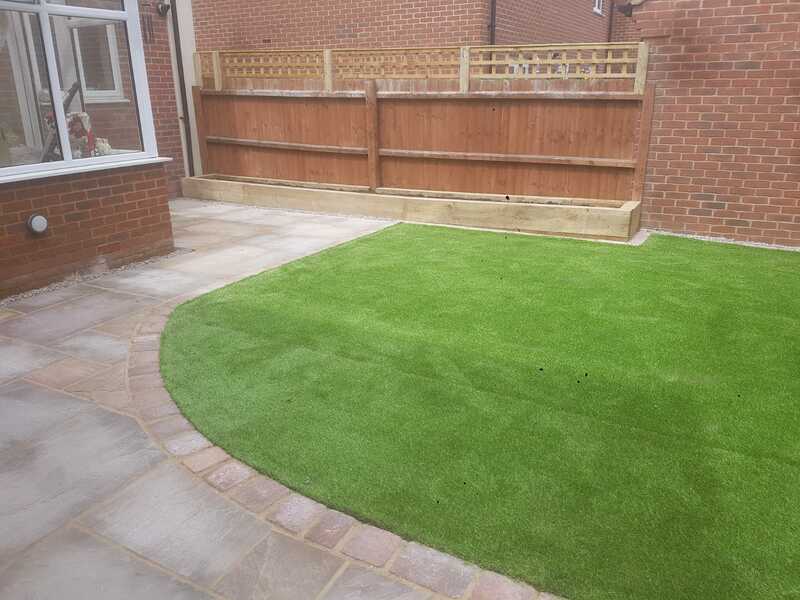 We use only high quality artificial grass which is fitted securely and precisely in your garden. Get in touch for a competitive quote. When the project is lead by professional garden designers, landscaping can perfectly marry function and design. 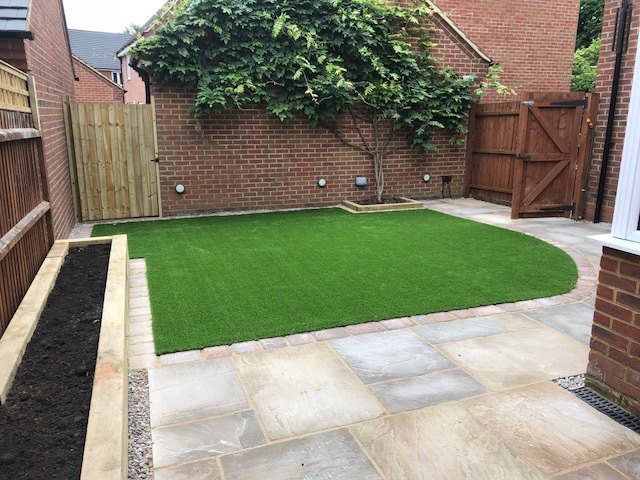 Across Milton Keynes, Leighton Buzzard and Bedfordshire, our garden landscaping and turfing services have brought our customers their dream gardens and outdoor services. Working across corporate and domestic garden design, we are experienced in meeting the exacting outdoor space requirements of our customers. 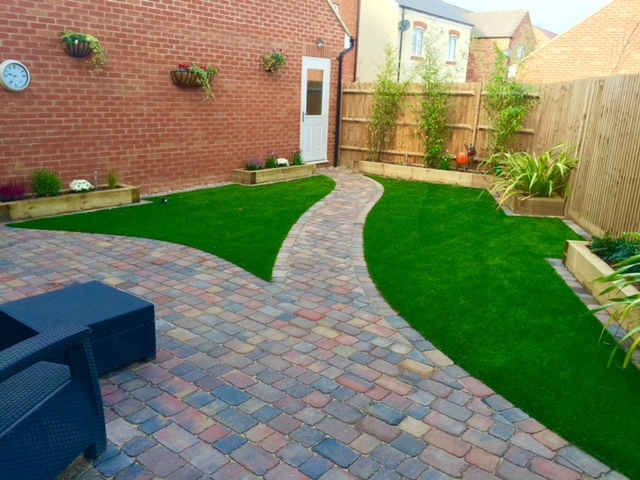 Whether you wish for an impressive and contemporary garden, a great entertainment and break space, or somewhere for the kids to run around in, our landscaping and turfing services are sure to exceed your expectations and keep your budget and timeline securely in mind. We understand that turfing and landscaping your garden or corporate space can seem like a disruptive and costly project. However, with Birch Landscapes we can promise a service that is seamless and within your budget. 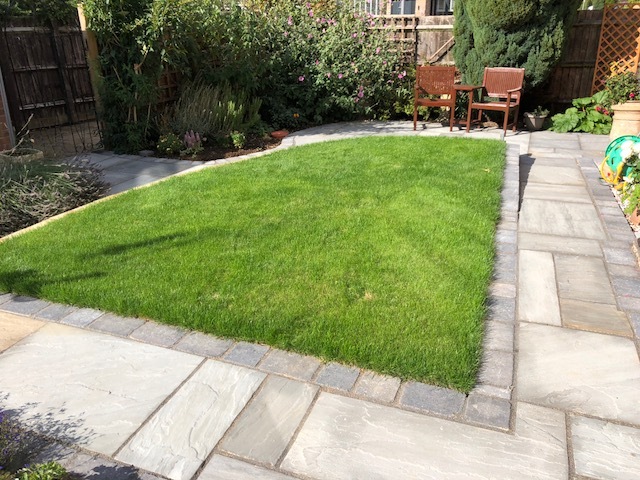 It’s true that our experienced landscapers in Milton Keynes are dedicated to creating the garden of your dreams – all you need to do is sit back and relax, knowing everything is under control. It might be that you have a clear vision for your landscaping and turfing or that you need a little inspiration from our garden design experts. In either case, you will be met with the same expertise, dedication and enthusiasm from the team at Birch Landscapes. It has always been our mission to deliver the best quality gardening services to our customers. Now we want to do the same for you. 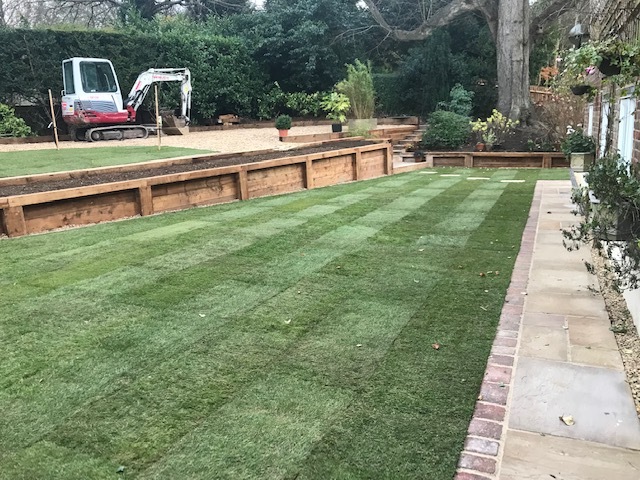 To learn more about the turfing and landscaping services available in Milton Keynes, Leighton Buzzard and Bedfordshire, or to arrange your onsite survey get in touch with the team today!